The Philbert brand is comprised of artisan cognacs, produced with the knowledge of over a century of experience. 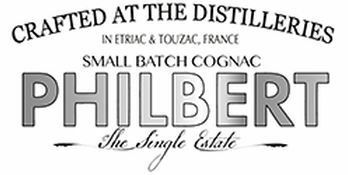 Although still a small and limited range, Cognac Philbert is available both in France and the USA. Cognac Philbert was created at the end of the 1890s by the Comandon Cognac company. They used the name of a member of their family who was a famous general from the French army. General Philbert was made famous in the colonies for his political and geographical works, but he was also instrumental in the French-Mexican war in 1862. He published several books, with the most popular one being "General Marguerite". Philebert is a very traditional cognac produced in only limited quantity. It is a small artisan cognac, with all being faithfully produced using the oldest of cognac producing methods. Cognac Philbert VS was awarded three stars and recommended in the Paul Pacult’s Spirit Journal 2010. The flagship of the brand, the Cognac Philbert XO was also awarded the same accolade that year, as was the Cognac Philebert VSOP. There is no information available about visiting Cognac Philbert.